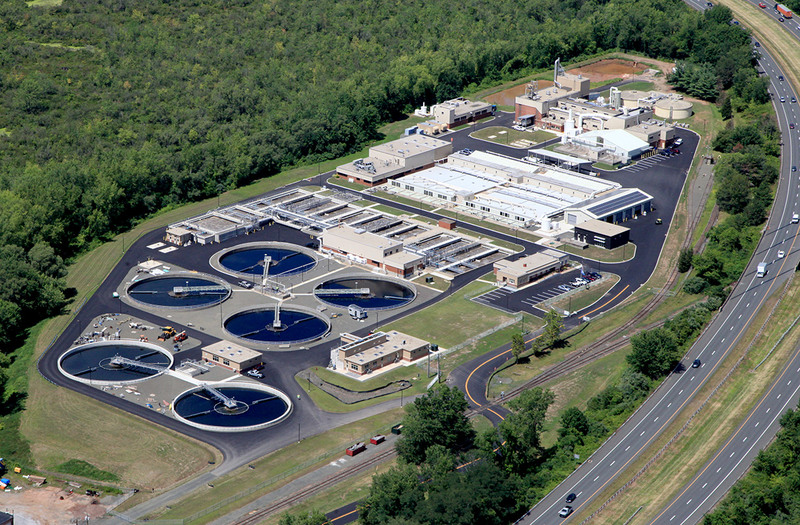 Located in the Town of Cromwell Connecticut, The Mattabassett District's Water Pollution Control Facility processes wastewater from New Britain, Berlin, Cromwell, Middletown, Newington, Rocky Hill and Farmington, and discharges clean water into the nearby Connecticut River. 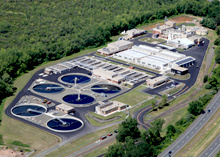 In operation since 1968, the Facility treats on average 12 to 21 million gallons per day, with past peak flows in excess of 70 million gallons per day. The Facility is manned twenty-four hours a day, seven days a week, 365 days a year. In the upper left hand corner of each page of this web site is our friend "Matt", one of the many fish who live in the aquarium in our main lobby. Matt shares the tank with Barbs, Plecos (Algae Eaters), Catfish, Black Skirt Tetras, Red Wagtail Plattys and Angelfish. These varieties of fish can be found in many aquariums; what makes ours unique is that they swim in the plant effluent, which is wastewater that has been treated by The District's facility. This fact is remarkable by itself, but it becomes even more so when you realize that fish are more sensitive to pollution than humans! Matt, and generations of his companions, demonstrate the superiority of the water quality produced by The Mattabassett District. In fact, the water in Matt's aquarium has a higher quality level than the waters of the Connecticut River, which in recent years has seen a resurgence of its fish population. On this web site, you will find information about our history, technology, success over the years, and day-to-day operations. Please contact us if you have any questions or would like additional information. The Mattabassett District proudly supports the communities it serves, and offers its facilities to local teachers and classrooms for educational purposes.